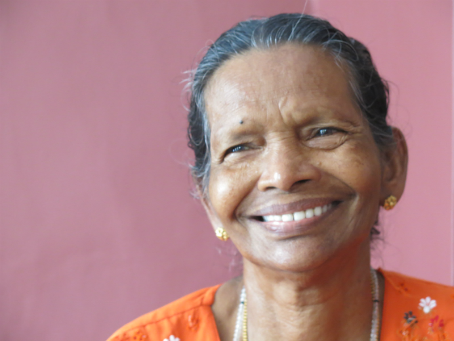 Since 1975, our donors have sponsored vulnerable seniors in developing countries. Today, we work with partners in Haiti, Jamaica, Dominica, India, Sri Lanka, Kenya, and the Democratic Republic of Congo. A monthly donation of $34 can change an older person’s life. Your support helps provide them with essentials like food, clothing, shelter, and medicine. Just as importantly, knowing that someone cares gives them hope. When you sponsor a Gran, you receive updates once a year keeping you apprised of their health and their activities. Because at its heart, sponsorship is more than just financial support.